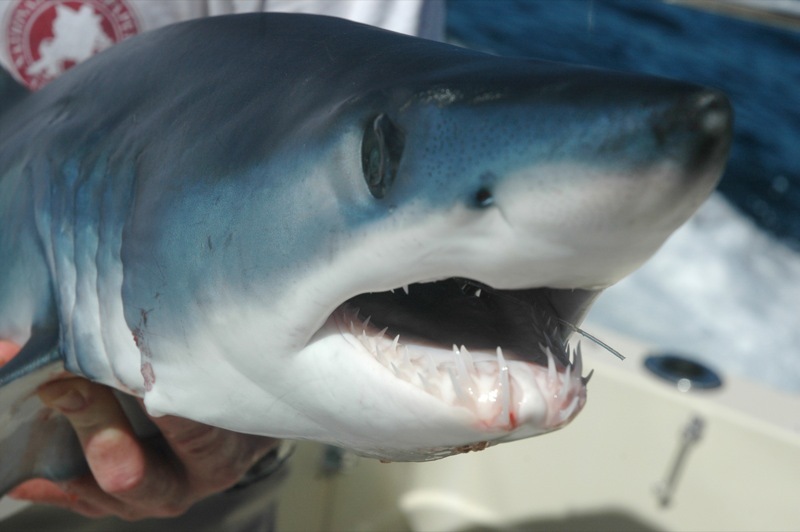 The Marrajo Dientuso Or Shortfin Mako Shark. “The shortfin mako or marrajo dientuso is a common, extremely active, offshore littoral and epipelagic speciesfound in tropical and warm temperate seas but seldom occurring in waters below 16°C. This shark occurs from the surface down to at least 152 m.
Cuban Fishing, 3-7-15, Mako Shark Or Dientuso By Nik Wilets Via Creative Commons. The peregrine falcon of the shark world, the shortfin mako may be the fastest shark and one of the swiftest and most active fishes. It is famed as a jumper, leaping several times its length from the water, and is capable of extreme bursts of speed when hooked and in pursuit of prey. For a shark of such great fame, particularly in the angling literature, knowledge of its biology is surprisingly sketchy. 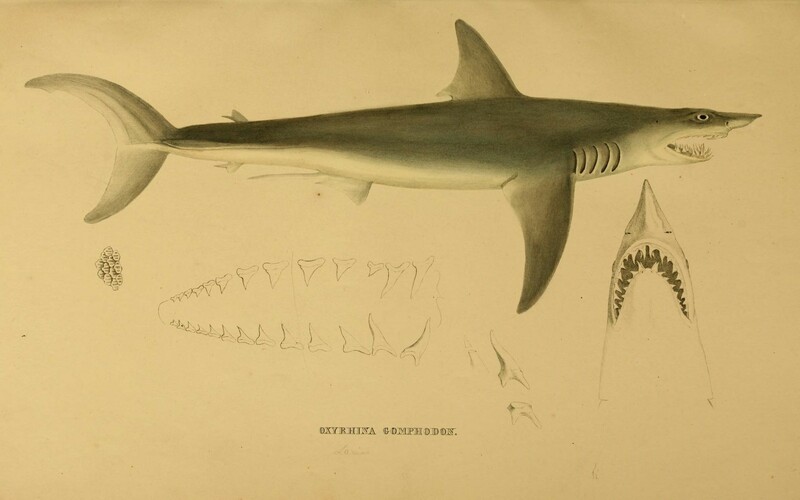 The shortfin mako, in the extreme northern and southern parts of its range, has a tendency to follow movements of warm water masses polewards in the summer. General movements of this shark are not well known. This species is ovoviviparous and a uterine cannibal, with 4 to 16 young in a litter. The shortfin mako is primarily an eater of other fishes, with a wide variety of prey including mackerel, tuna, bonito, and other scombrids, anchovies, herring, grunts, lancetfish, cod, ling, whiting and other gadids, Australian salmon (Arripis ), yellowtails and other carangids, sea bass, porgies, swordfish, and other sharks(blue sharks, Prionace, gray sharks, Carcharhinus, and hammerheads Sphyrna ), but also sea turtle heads, a ‘porpoise’ (probably a pelagic dolphin), and also squid, salps, and occasional detritus. 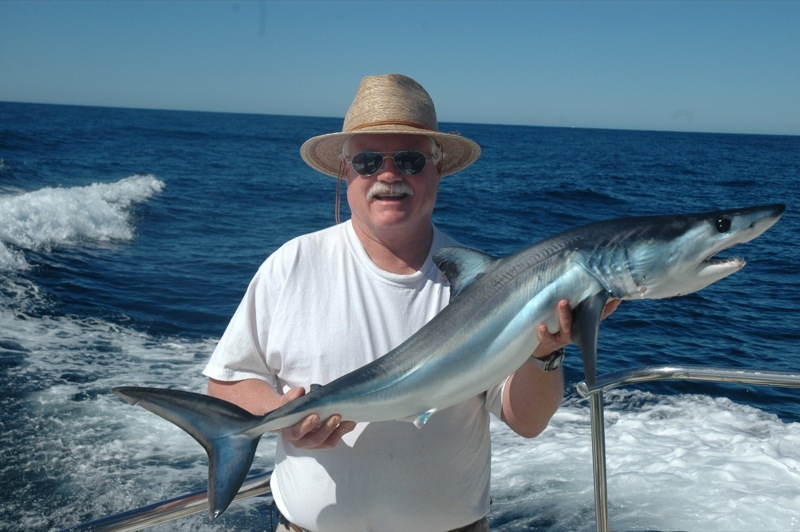 Cuban Fishing, 3-7-15, Mako Shark Or Dientuso 2 By Nik Wilets Via Creative Commons. Featured Illustration Source: Mako Shark. Feature Image: Dientuso, Cuba By Bernd Kirschner, Via Creative Commons.